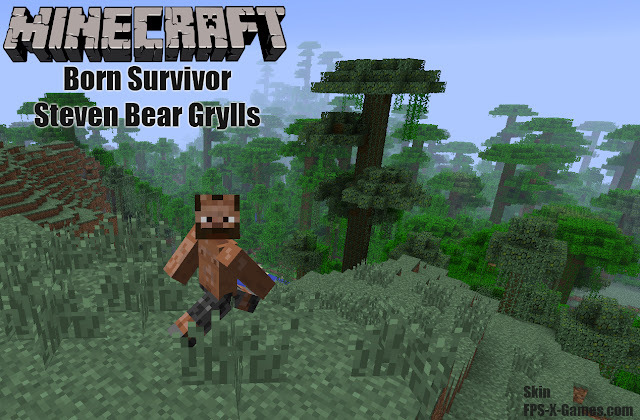 I Decided to release my long serving Minecraft skin, it was based on the original Mincraft player as someone who's tyring to survive in an unforgiving jungle. So as the original Mincraft player is called Steven I appropriately named the skin Steven Bear Grylls, Born Survivor. Plus the fact my name is Steven Bear kind of helped. BTW Im not receding nor do I have a beard.